Paul Silvis and his son Michael. Restek opened for business in 1985, in a single room in a converted elementary school, but its founder and only staff, Paul Silvis, had a vision for the future: to create an environment in which people would look forward to coming to work as much as to going home. Today, more than 270 owner-employees work, play, and celebrate milestones in a start-of-the-art 128,000 square-foot facility in Penn Eagle Industrial Park, in our new research facility in California, and in our subsidiary locations in England, France, Germany, and Ireland. 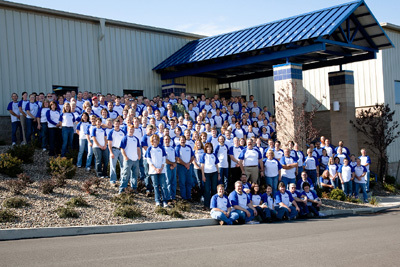 Restek became an employee owned company in January 2009 through an ESOP. The ESOP vision is to ensure the employees as shareholders benefit financially from Restek's success and that Restek will continue to support the community through donations of time and money to worthwhile causes. 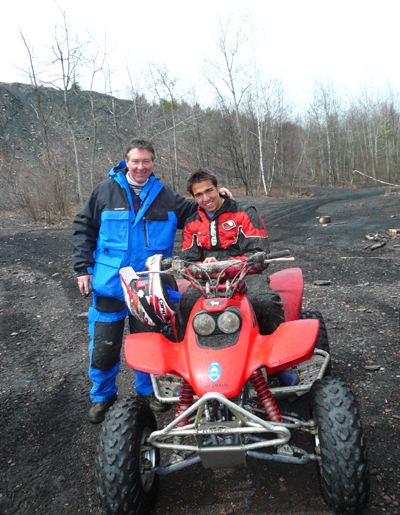 Paul Silvis has been riding off road vehicles since he was 12. It started when his father bought him an old Cushman scooter consisting of pieces in a barrel to learn about mechanics. It progressed to motorcycles, jeeps, UTVs, and ATVs. One aspect that has stayed consistent is riding in a family event. Paul and his brother Gary have been to West Virginia, Canada, Michigan and many places in PA. His wife, sons, and daughters all ride. Riding ATVs is a great family activity that provides lots of fresh air, enjoyment of our forests, and creates stories to share as the years unfold. Paul has been riding the SSRT trails since 2000 and particularly enjoys riding with his Bison Lodge buddies on the last Wednesday of every month. Restek employee's donations have supported the SSRT trail system for the past five years. Many Restekian's enjoy riding, throwing a little dust around, and camping out with their families. We all sincerely appreciate all the time that SSRT members donate to keep the trails open and the energy expended to the trail system to connect to other regions. Paul especially appreciates all those riders who pick up cans, trash, and litter from inconsiderate individuals who don't respect the gift we have been given.